The Musée des Arts Premiers is one of the most interesting elements in the recent public architecture production in Paris. It is President Chirac’s legacy to the series of “great works” initiated by the previous presidents, and it is linked to his interest in the arts from non European countries. 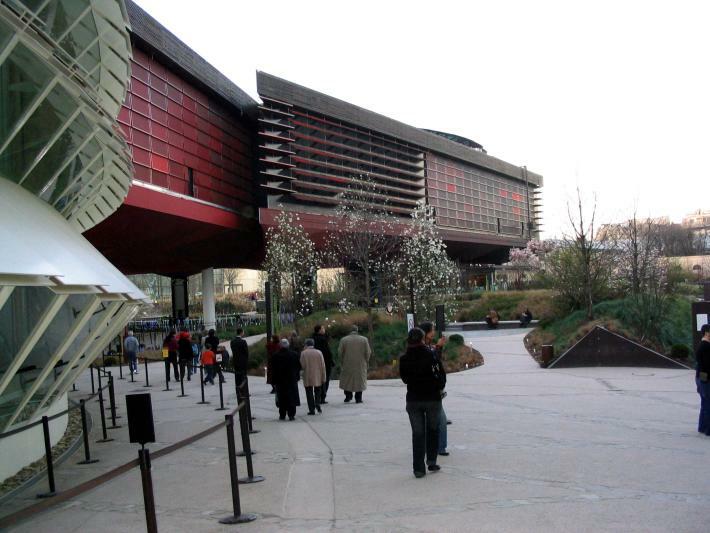 The building by Jean Nouvel is on a lot oriented towards the Seine, near the Champs de Mars and the Eiffel tower. A substantial part of the building is raised on columns, allowing for a large garden with an abstract composition. 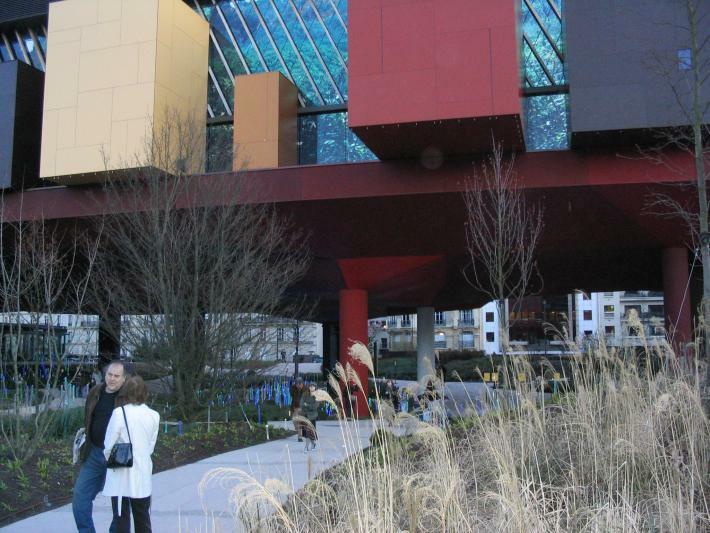 The built volume has a glass façade over the river that cumulates many colored boxes that are corresponding exhibition spaces. The dimensions of this volume allow for a substantial courtyard to the back street, creating an interesting access sequence to the Museum. The internal vertical movement of visitors is organized with a large spiral ramp that plays a relevant role in the arrangement of volumes. 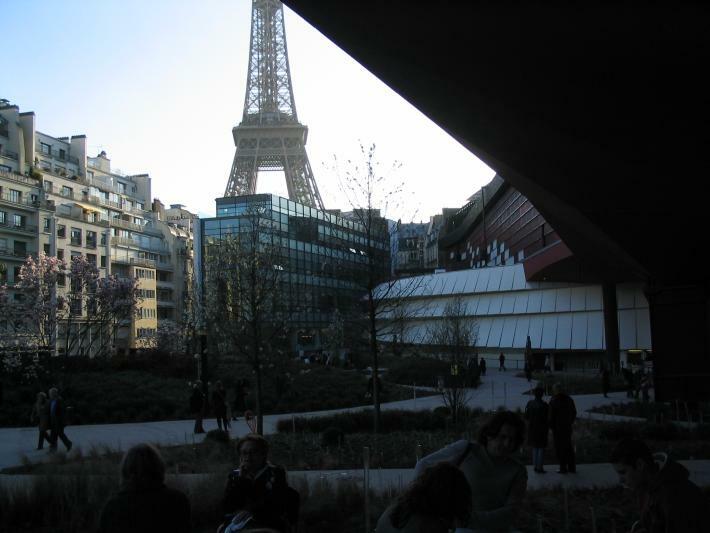 The building does not integrate in its environment by being mimetic, but rather through contrast with a neighborhood marked by the close presence of the Eiffel tower and the luxury condos around it.